Bummer that the complaint isn’t on PACER, but some details and perhaps some of the court’s reasoning can be found in the defendant’s motion to dismiss. Essentially, plaintiff claims a right of publicity in the name Fred Astaire. The Lanham Act does not create a right of publicity without either secondary meaning or likelihood of confusion, the essential elements of a trademark claim. Plaintiff has made no showing that an “Astaire Awards” presentation has acquired a secondary meaning. Plaintiff has not shown that consumers will be deceived into believing that the late Fred Astaire endorsed defendants’ awards, which are described as “in tribute” to Fred and Adele Astaire. 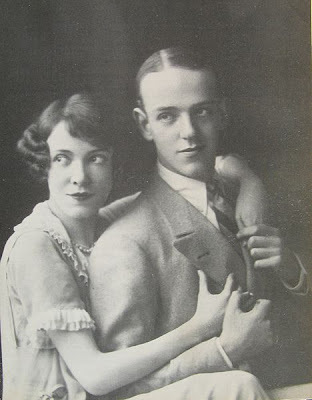 Accordingly, plaintiff has not shown a likelihood of success on the merits or irreparable harm from the presentation of an award in memory of two great dancers, Fred Astaire and his sister Adele. Robyn had to settle for a huffy press release and the show went on. Discuss amongst yourselves how the court could conclude that consumers wouldn’t be deceived into believing that Fred endorsed the award show when he had while he was alive. Astaire v. McKenzie, No. 10 Civ. 4305 (S.D.N.Y. ).